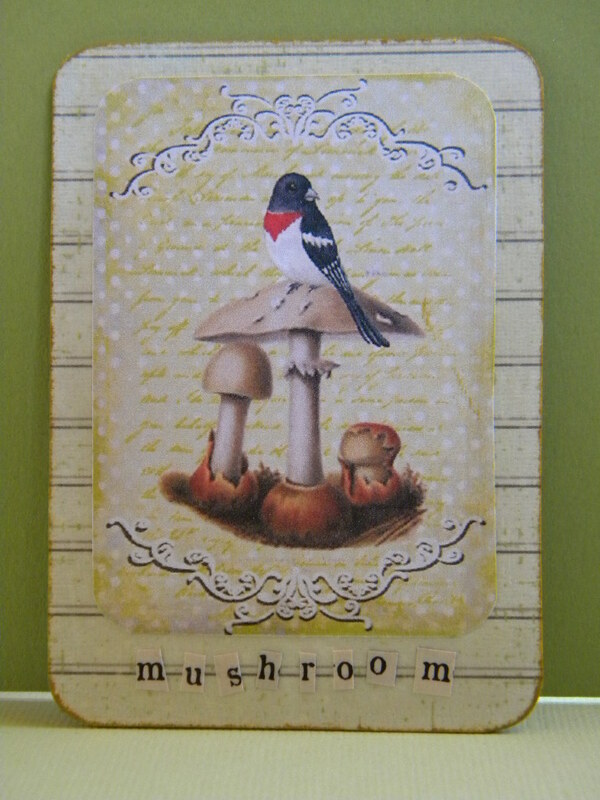 I made a set of 6 ATC’s today using the vintage mushroom collage sheets I bought online last week. 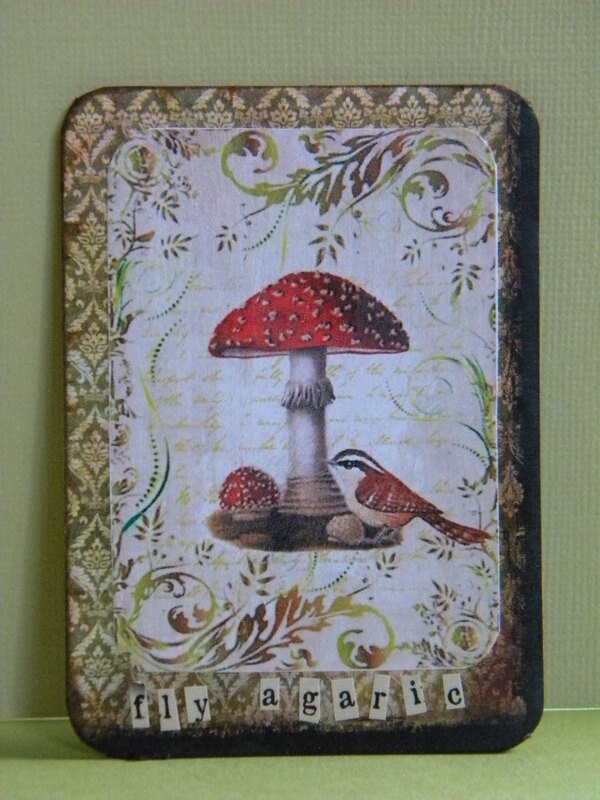 I quite fancied doing an ATC swap but wasnt sure what it all entailed,.. so i’ll do a bit of investigating and see what’s what and maybe come back later on next week with a wee swap 😉 (if your interested just give me a wee shout). These are great Sarah! 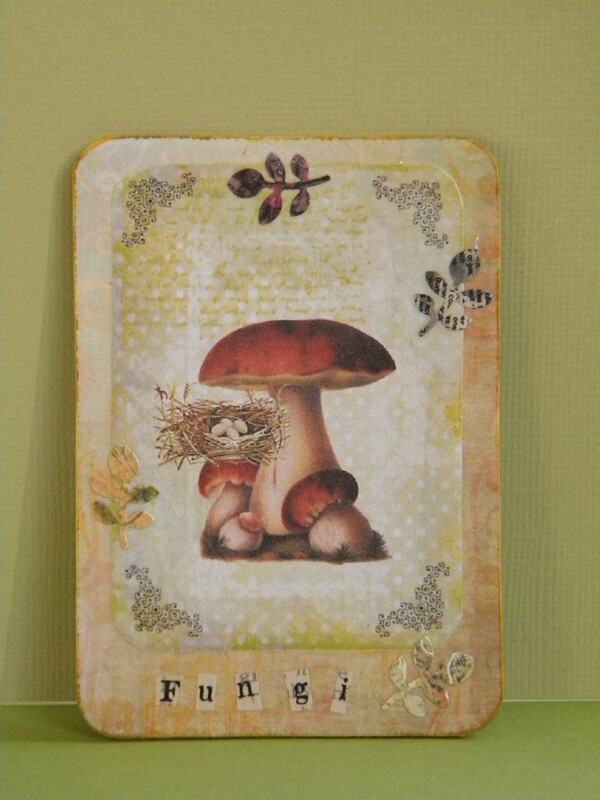 What fun cards. You are so creative! 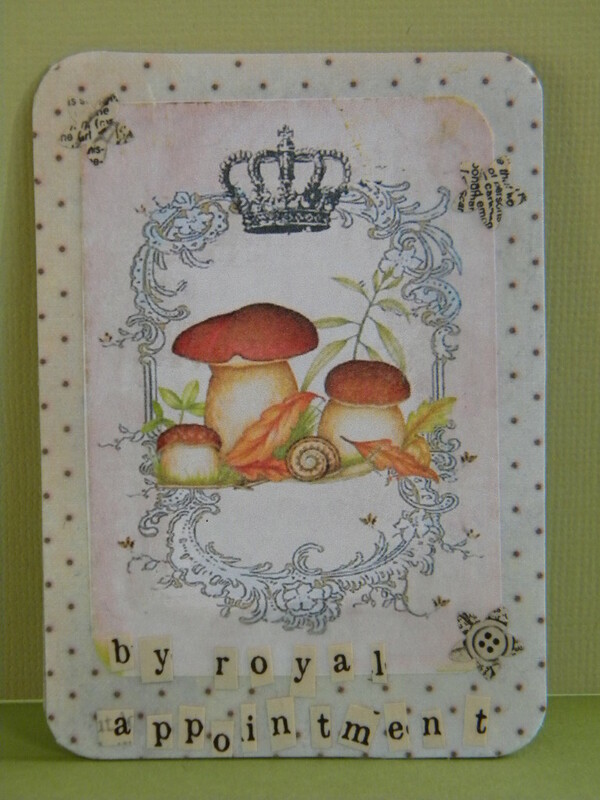 Beautiful ATCs Sarah, love the mushroom images. I would be happy to swap with you. 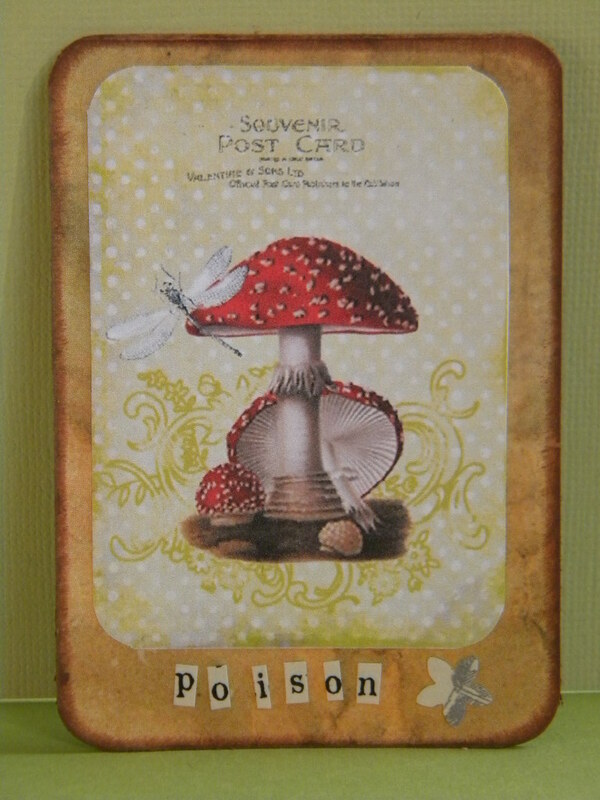 Your wee cards are just delightful. Beautiful to look at and a little tongue in cheek humour. 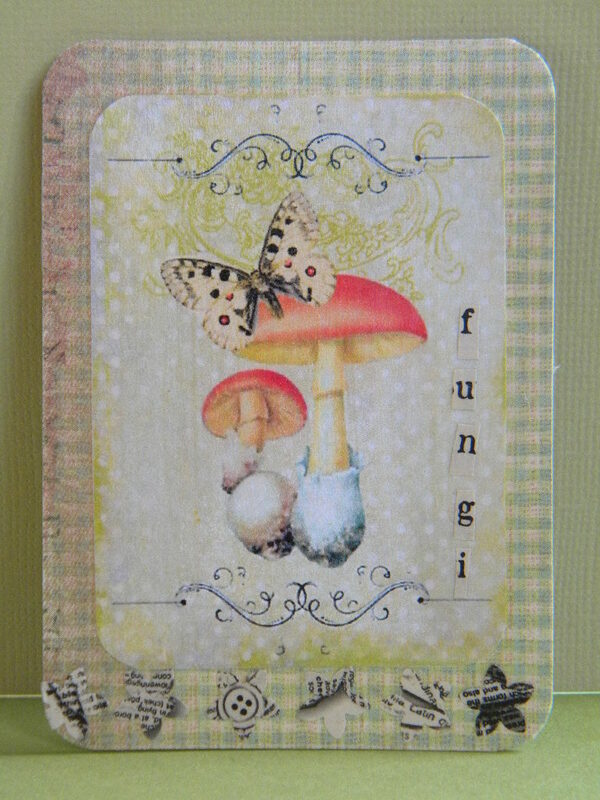 These are all fab Sarah, and very impressive for your first attempt! I would be very pleased to do a ‘swap’ with you :).